Arriving in Southern California on the crest of the latest dining trend sweeping through Europe, based on an ingenious European concept that has enjoyed great popularity in cities like Berlin, Paris, and Vienna the first ever “Dining in the Dark” experience is now available in Los Angeles! 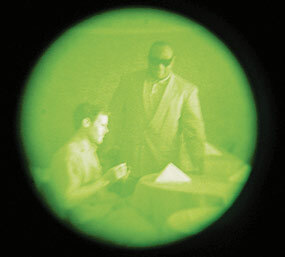 Just imagine, that you can not see for an hour or two, that you are abandoning vision in exchange for a new, multi-sensual dining experience.Opaque is enhancing our senses of taste, smell, touch, and hearing by abandoning one that we often take for granted – this is “Dining in the Dark”. Brought to you by Opaque, the dining in the dark experience allows you to willingly plunge into a world of sensitivity you have never experienced before, taking you through a journey of taste, sound and touch, all in the dark.